You’ve got LG G5 from your favorite network carrier that means you didn’t buy Lg G5 unlocked and now you wanna use it on some other network but you are enable to do so because your phone is locked on that network carrier, we’ve got a solution for you. Now on we can proudly say that we can sim unlock your LG G5 in best timing and affordable price. With us, its totally a hassle free process and you can have your LG G5 sim unlocked in no time. The best method to network unlock LG G5 is by LG G5 Sim Unlock code. Every LG G5 has a precise 15 digit code called IMEI number and by providing that IMEI number you can obtain LG G5 unlock code, and by entering that LG G5 IMEI Unlock Code you can get your LG G5 IMEI unlocked forever. How To Find IMEI # Of LG G5? You can find IMEI # of your LG G5 under the battery or you can dial *#06# and IMEI # will pop up and you can note it down. You can read more methods of how to find IMEI number of your phone here. How To Order LG G5 Unlock Code? Ordering LG G5 Unlock code is as easy as it gets. All you have to do is select the network your phone is locked on, than type your IMEI # your E-mail address and press the BUY NOW button and in given time we will send you your LG G5 factory unlock code via E-mail. How To Enter LG G5 Sim Unlock Code? Method of entering LG G5 Unlock Code is simple, just swap your sim with a non-accepted sim and “Enter unlock code” or “Network unlock pin” menu will pop up. Just enter the code you have received and your phone will be unlocked. Why Unlock Your LG G5? Unlocking your LG G5 by LG G5 Unlock Code will give you freedom to use it with any network any where in the world and you dont have to pay roaming charges. You can read more about benefits of unlocking your phone here. 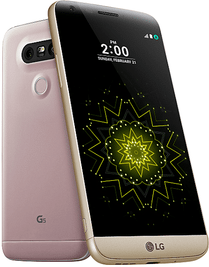 Why Unlock Your LG G5 With LetsUnlockPhone.com? Specs of Lg G5 are listed here.